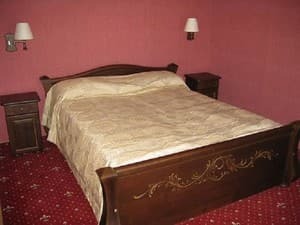 The hotel complex "Shelter club hotel & spa" is located two minutes from the city of Kovel, and the intersection of roads Warsaw-Brest-Kiev, Zhitomir, in the village of Kolodyazhni homeland brilliant poetess Lesia Ukrainka. The hotel meets the European standards. The rooms are homely and comfortable, equipped with all modern amenities. Breakfast at the hotel cafe - always a great start to the day, and a delicious lunch or dinner with friends around the fire kindled for a long time will leave pleasant memories. Guests of the hotel "Shelter club hotel & spa" - a swimming pool with Jacuzzi, relaxation room, billiards, summer playground for children. For business travelers well-equipped business center where you can conduct negotiations, seminars, trainings. Description of the room: Clean cozy room, bed, hypoallergenic pillows and blankets, TV, extra bed possible. The room has a shower toilet. Description of the room: Double room (twin, double), with a classic interior, hypoallergenic pillows and blankets, satin bed. In the bathroom floor heating, large white towels, hair dryer. Furniture from a natural tree of individual work. Good sound insulation. Description of the room: Double room (twin, double), with an interior in a classic style. Air conditioning, hypoallergenic pillows and blankets, satin bed. In the bathroom floor heating, large white towels, hair dryer. Furniture from a natural tree of individual work. Good sound insulation. Description of the room: Clean cozy room, two rooms, two single beds, sofa, double bed, bed, hypoallergenic pillows and blankets, TV in every room, toilet, shower. Separate entrance. 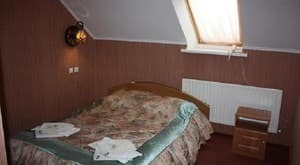 Description of the room: Two-room double room, with an interior in a classic style, curtains. The bedroom has air conditioning, hypoallergenic pillows and blankets, satin bed. In the bathroom floor heating, large white towels and bathrobes. The furniture is made from natural wood of individual work. Good sound insulation. Приятный отель за небольшие деньги. Красиво, приветливый персонал, удобное расположение, удобные номера. Слабый напор воды в душе, холод в туалетной комнате, не работает wi-fi, скрипит кровать. The cost of breakfast is 40 UAH. 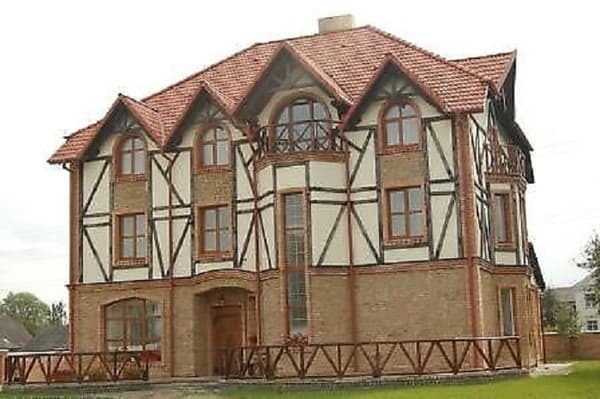 The hotel complex "Shelter club hotel & spa" is located two minutes from the city of Kovel, and the intersection of roads Warsaw-Brest-Kiev, Zhitomir, in the village of St. Kolodyazhni Lutsk 14.